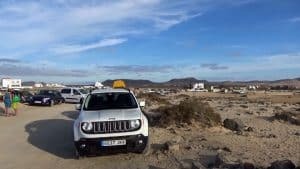 Over the Easter period the La Oliva Ayuntamiento fined 17 camper vans in El Cotillo for parking overnight by Playa de la Concha (Shell Beach). Overnight parking has been banned at the beach to prevent the camper vans from using parking spaces normally used by daytime beach goers. The Ayuntamiento hopes this will help with the regeneration of the beach. Last year, in July, the car park near El Caleton apartments was a camp site, with a mass of camper vans. They were there for the majority of our holiday. Loads more on the other tracks around the beaches. They are a pain I must admit. Thanks for commenting. 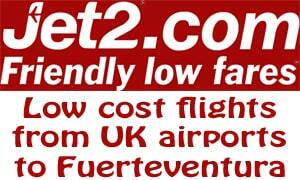 In the past, a few camper vans did this but in time they increased dramatically. They took over large stretches of beach access. It must be good for some control. Been to La Concha beaches and lagoons recently, and from the 5th July to the 17th, a mass of camper vans, some parked there for most of that time, parked right next to El Caleton apartments, blocking the parking space. Saw Police cars drive past them, but seems no action taken. I have noticed even more motorhomes this year than normal (everywhere not just in Cotillo).